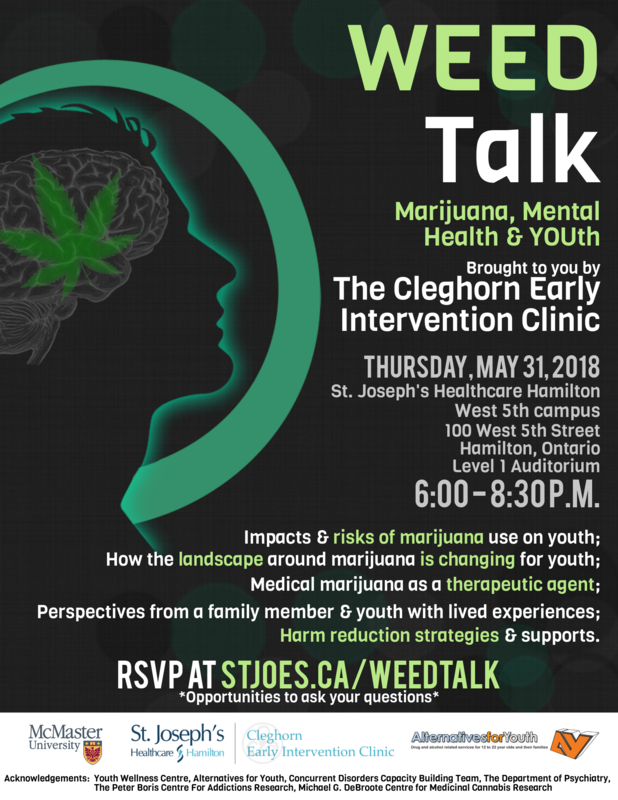 The Cleghorn Early Intervention Clinic in Hamilton presents WEED Talk: Marijuana, Mental Health and YOUth, taking place May 31. This event is geared toward young people, family members, and anyone interested in learning more about the effects of cannabis use. The objective is to raise awareness of issues related to safe cannabis use, legalization, harm reduction, risk of psychosis, and mental health and addictions services in Hamilton. 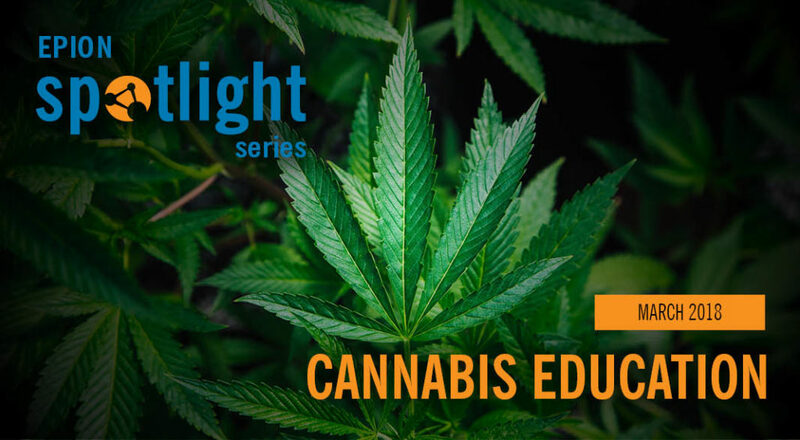 With legalization slated for July 2018, this public forum aims address young people and their families’ thirst for knowledge about the impacts of cannabis use. Presenters include clinicians, researchers, young people and families. Discussions include: impacts and risks of cannabis use on youth; understanding the changing landscape for marijuana and youth; myths and facts about medical marijuna; client and family perspectives on cannabis use; and harm reduction strategies and supports for young people and families. Cleghorn’s Clinical Director Dr. Suzanne Archie also presented with Erin Boudreau, Manager of Policy and Community Engagement at Schizophrenia Society of Ontario, at the March 6 Cannabis and Mental Health: What You Should Know presentation at Brock University. This presentation focused on the association between cannabis and psychosis and related risks, what legalization will mean, the importance of education, prevention and early intervention and where individuals and families can get help.